Perhaps the following bit of guidance only applies to approximately one-third of the United States, but with another storm season upon us, one can never be too prepared. The 2018 Atlantic Hurricane Season began on June 1, and with deadly subtropical storm Alberto having moved through the Gulf Coast and the Midwest already, and an extremely deadly storm season only a year behind us, preparation now could save lives and facilities. To help us realize the importance of the act, the Insurance Institute for Business & Home Safety (IBHS) has offered some resources for preparing buildings and sites for fierce storms, offering guidance on how to strengthen buildings and sites in preparation. "Before the next storm strikes, take a walk around your property," said Roy Wright, IBHS CEO and president, to examine buildings and structures. As a facility manager, you should take in everything you can, possibly being led by your own list and working through it. Wright says building managers should inspect for loose shingles, siding and fencing. They should review windows and storm drains and make sure they are secure and cleared. Trees should be trimmed away from structures and gutters cleared; drains freed of debris so rain water can move away from buildings. If there are storm shutters, they should be ensured that they are able to be placed on the buildings with efficiency. The National Oceanic and Atmospheric Administration (NOAA) says 10 to 16 named storms are likely this hurricane season, with five to nine hurricanes expected. 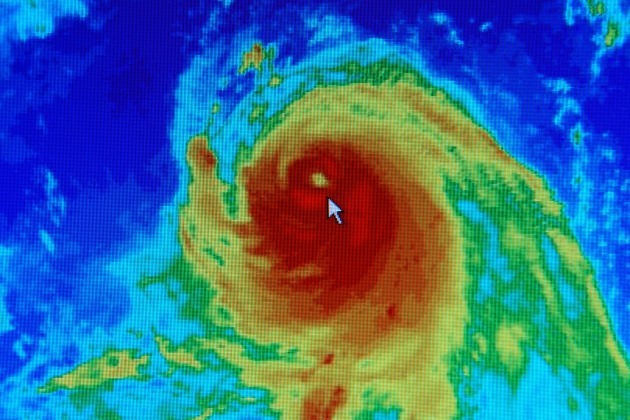 NOAA's outlook indicated one to four hurricanes could become major (Category 3 or higher) with sustained winds in excess of 110 mph. This follows the extremely active 2017 season, which resulted in more than $200 billion in property losses across the U.S.
As part of the hurricane preparedness plan, IBHS offers some key tips and takeaways. The first thing to do is to take to create a business continuity plan if you don’t already have one. This should lead to inventory controls, which should list all business equipment, supplies, merchandise and commercial vehicles in case you have to make a claim. It should go without saying, but you also need to check your coverages. If you rent, you need to know what your tenant and rental coverage includes, and if you need to make adjustments do it before any sign of a storm. Next, update (or create) a contact list, including information for employees, key customers, vendors and suppliers. This leads to planning for interruptions in business or service, which must include protecting your building, inventory and records if a storm is forecasted for your region. "Preparedness is the key to mitigating risks for everyone in hurricane-prone areas," Wright said. "Protect your property through maintenance and monitoring, and with flood insurance if you live in an area prone to flooding." Wright also said there is a 30-day waiting period for new flood insurance policies to become effective for homeowners and business owners after they are bound by your insurance carrier. Your disaster storm planning efforts all should include building or restocking basic disaster supplies kit, including food and water, a flashlight, batteries, chargers, cash and first-aid supplies. Finally, do not try to staff your building or leasing office if authorities order a complete evacuation. That’s what insurance is for. Get everybody out. Following these tips might make a bad storm season a little easier to navigate. For an infographic produced by IBHS, please click here.